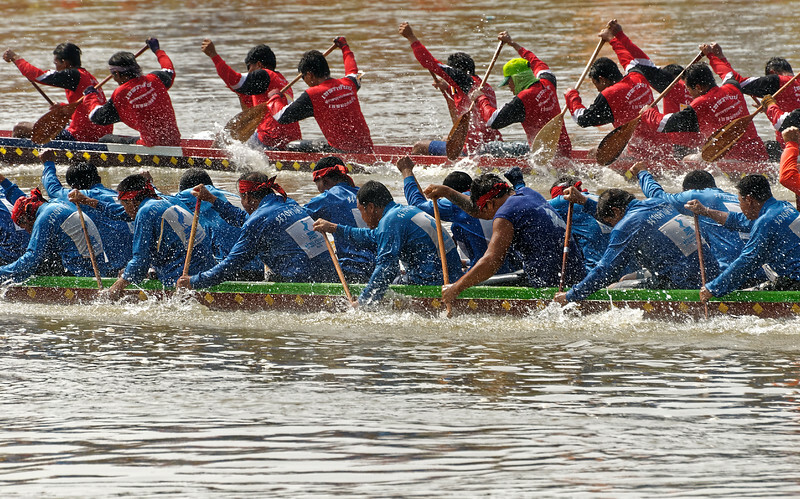 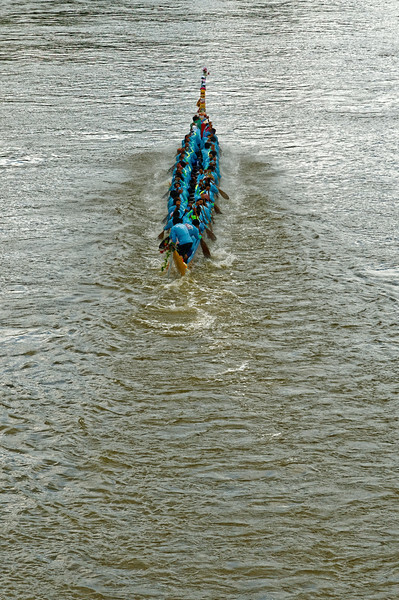 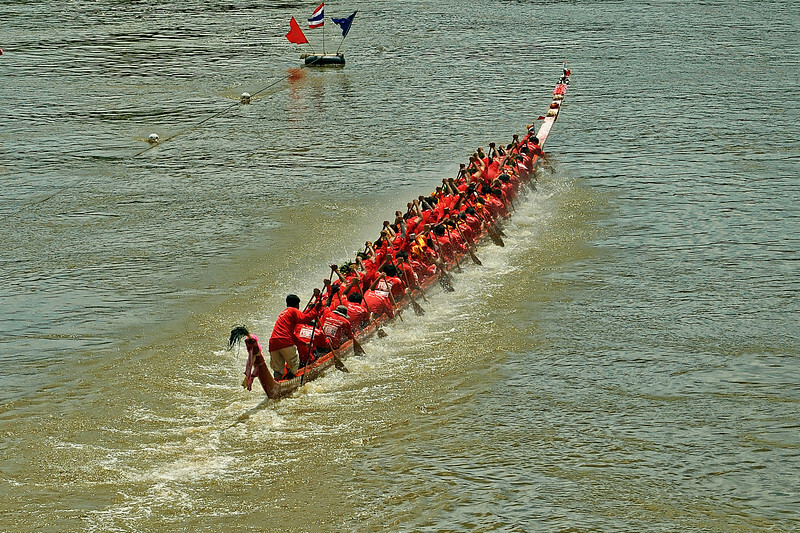 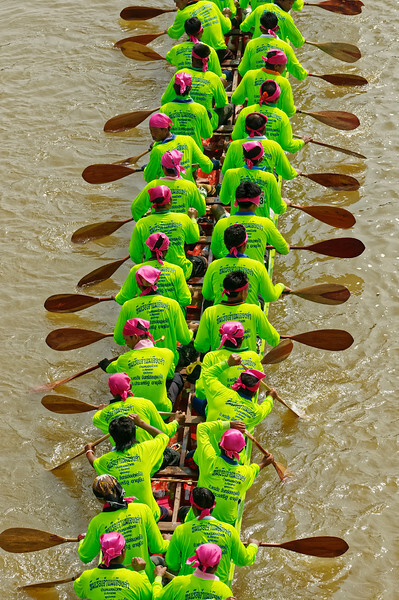 Longboat racing is a national sport in Thailand. 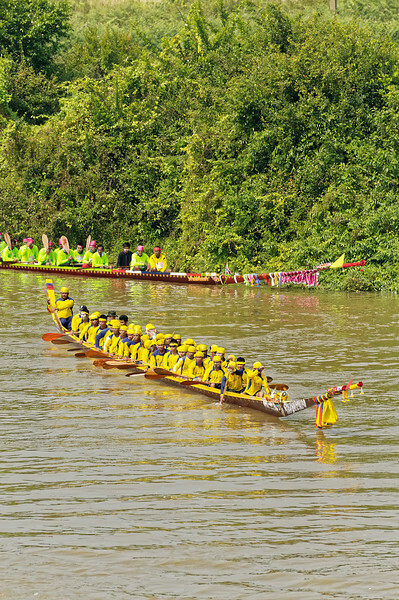 It is said to date back at least to the time of Ekahotsarot, king of Ayutthaya in the early 17th century, who used the regimen to train his soldiers as oarsmen for boats used in battle. 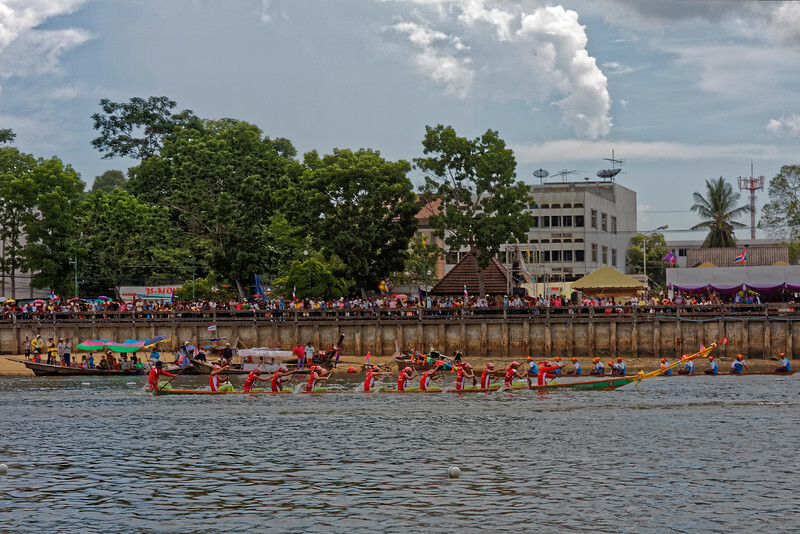 The Abbé de Choisy, a Catholic priest who was a member of the delegation sent to Siam by Louis XIV of France in 1685, wrote of witnessing a race held by Narai the Great, king of Ayutthaya at the time. 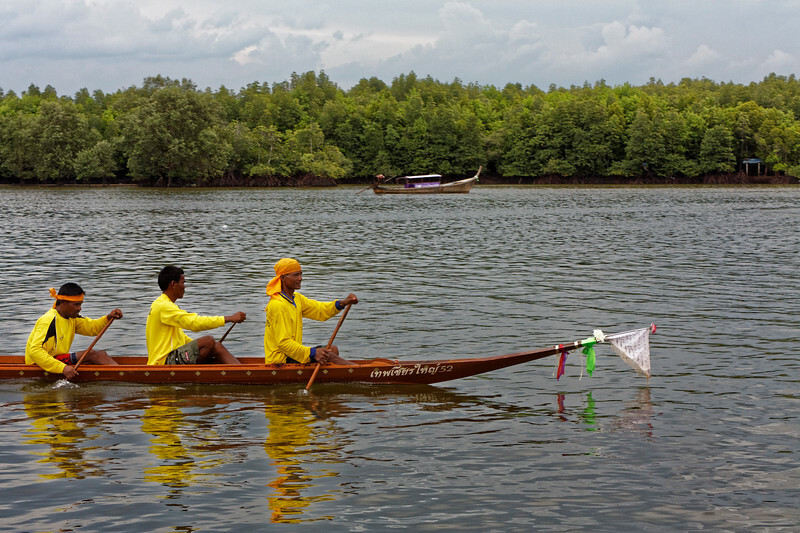 The boats themselves are usually hewn from a single tree trunk. 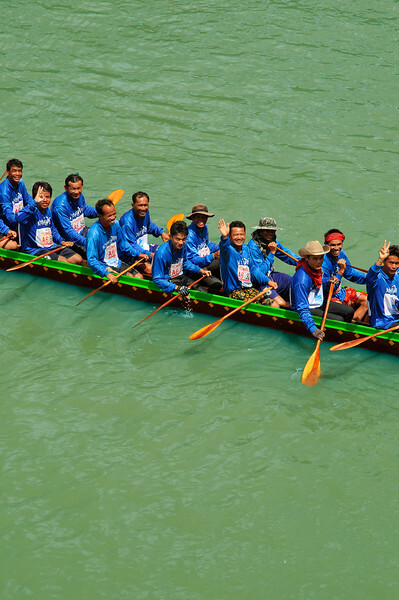 Some have crews of 50 or more men, as seen here. 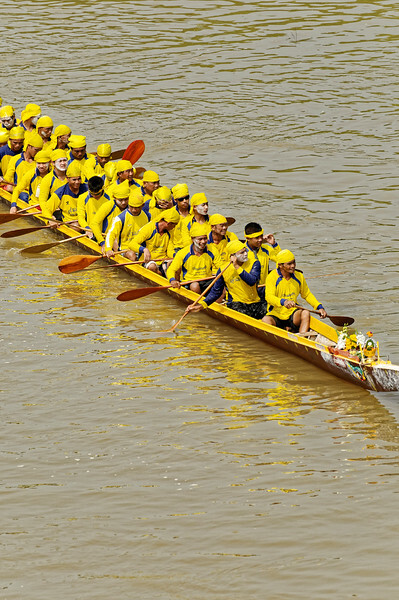 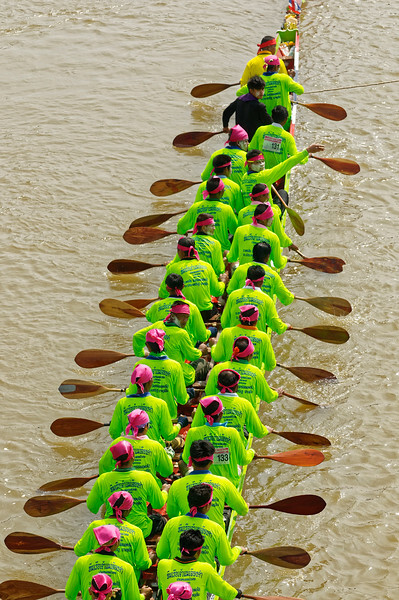 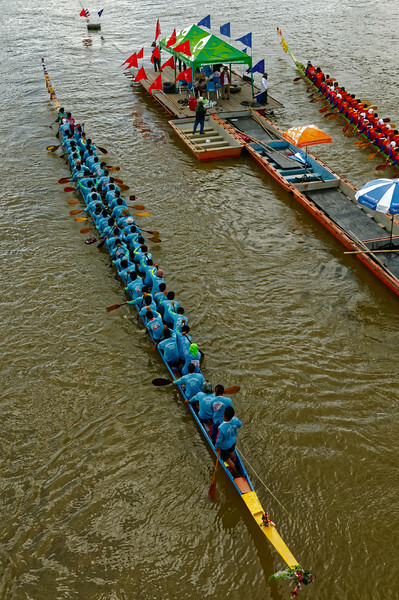 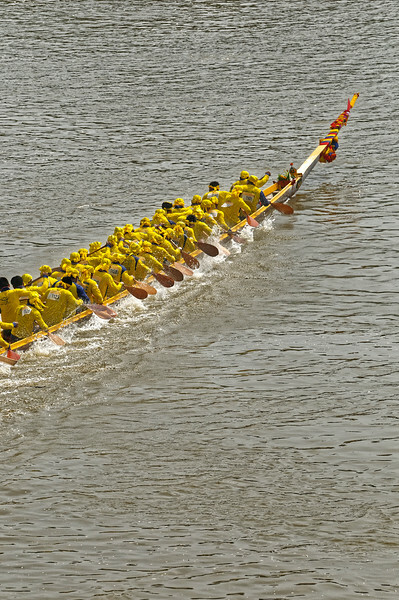 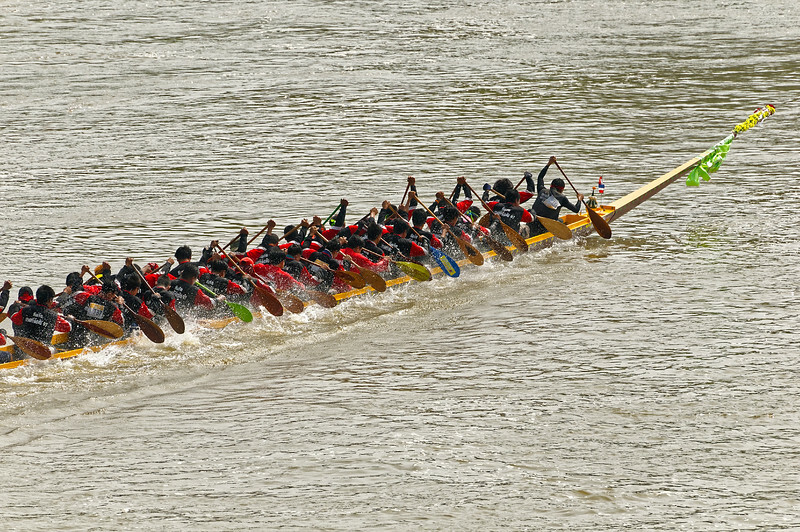 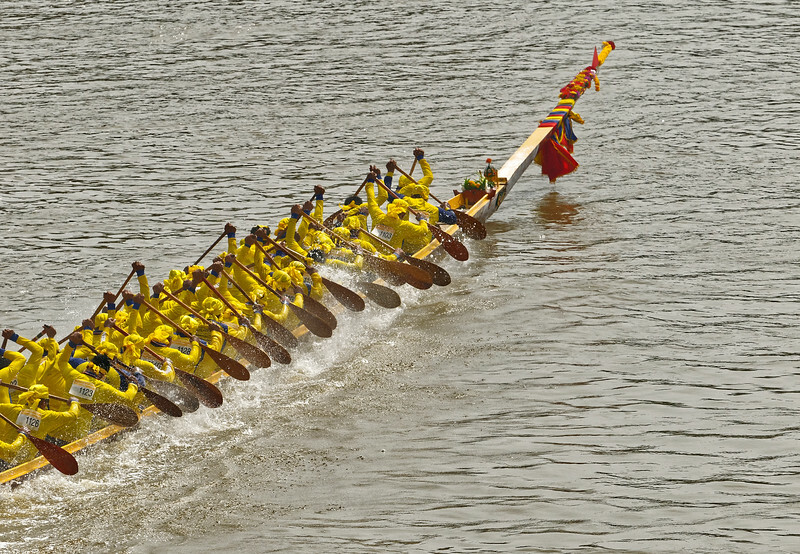 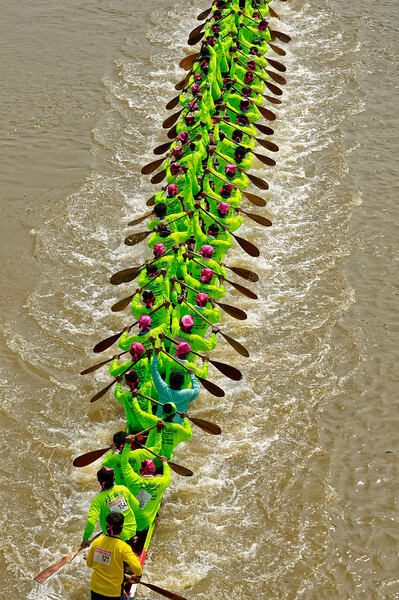 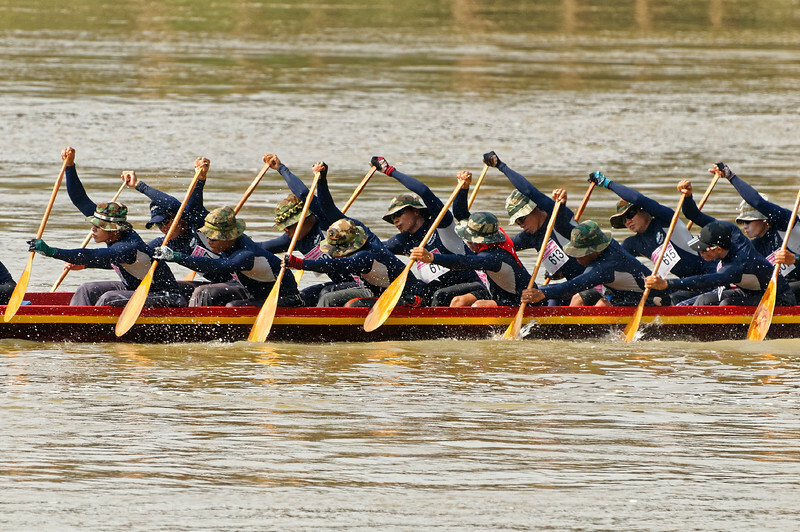 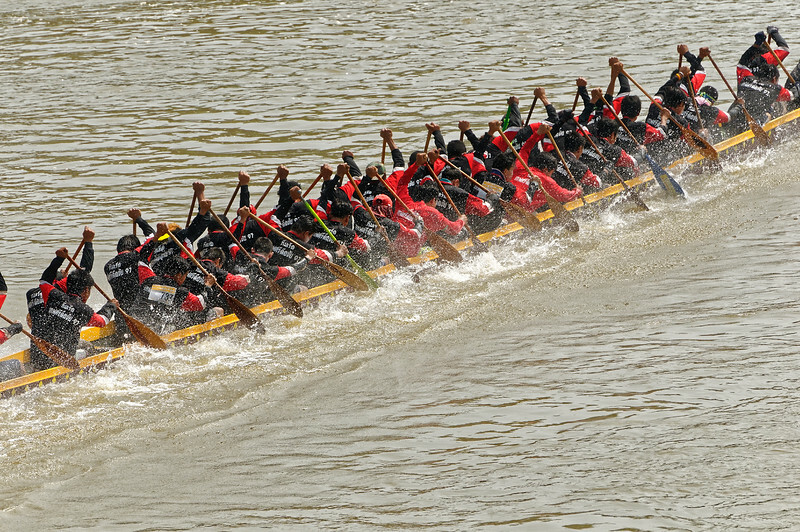 Promotion of harmony and unity through the teamwork required at all stages of the process, including building the boat itself, practicing, and competing, is seen as a primary goal of the discipline today. 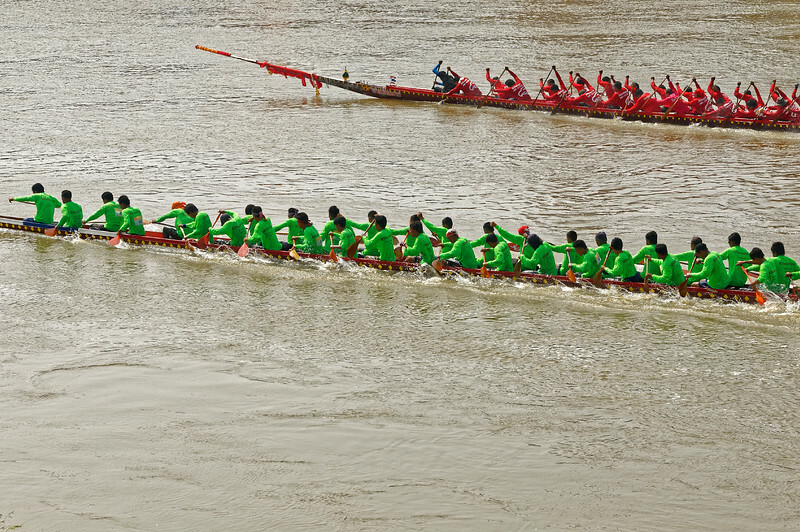 Most of the races take place around the end of the rainy season, in September or October, when river levels are at their peaks. 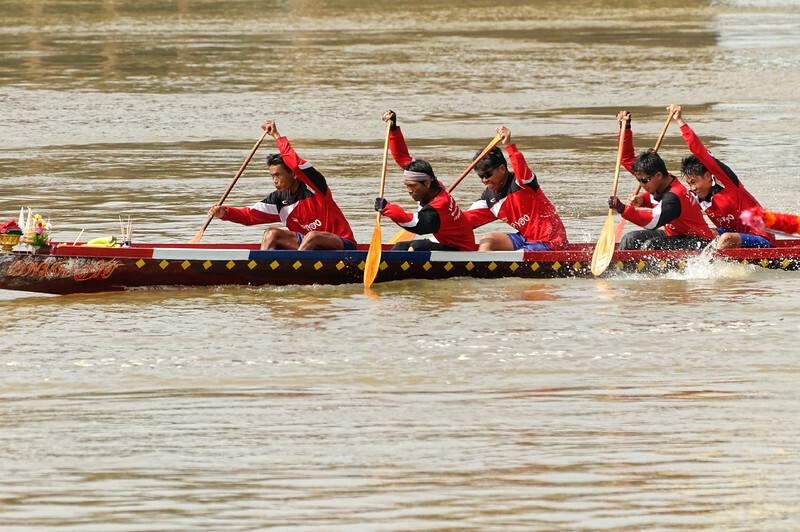 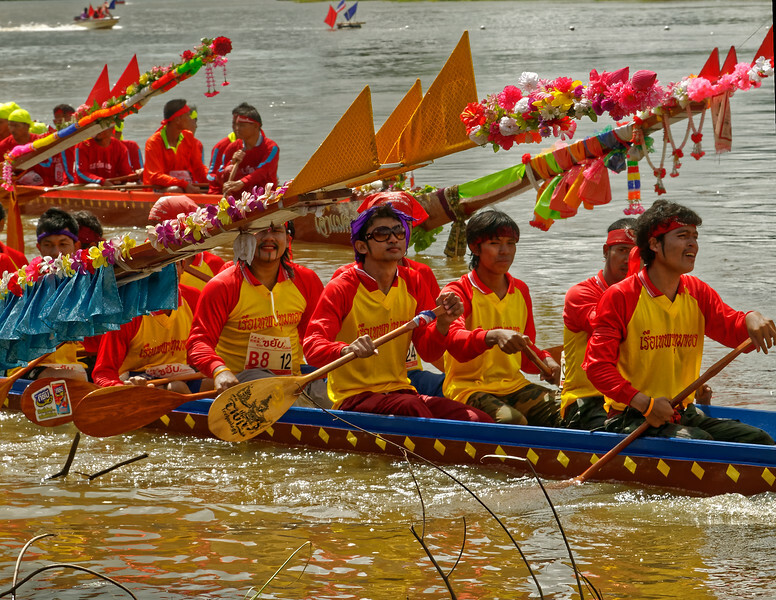 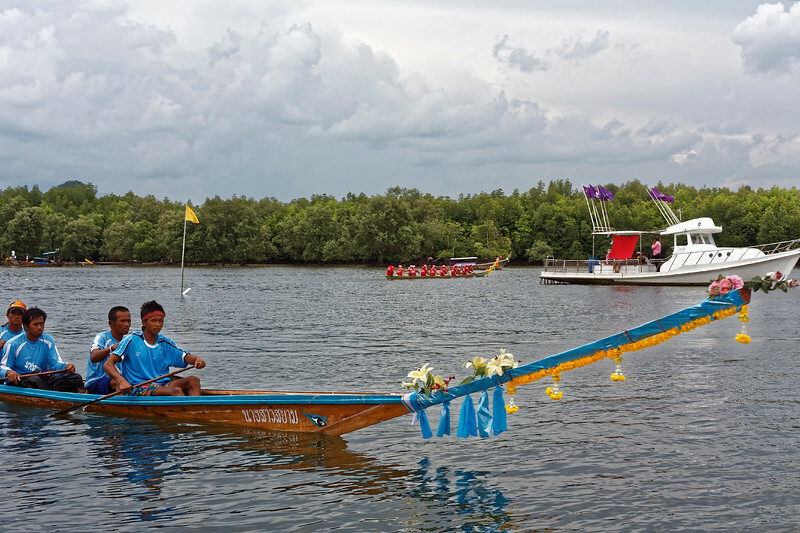 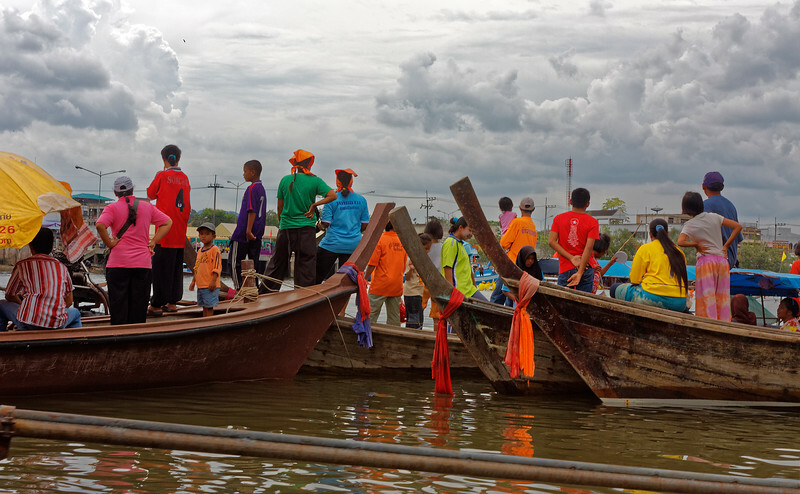 Most of the photos in this gallery were taken at competitions for the King's Cup held at Rasi Salai, on the Mun River in Sisaket Province, northeast Thailand.